The De Beers Group of Companies has been active in Canada for longer than 50 years and has been actively mining diamonds in Canada since 2008. De Beers is the world’s leading diamond company, involved in almost every stage of the diamond pipeline: exploration, mining, sorting, valuing and selling rough diamonds; marketing and selling polished diamonds and jewelry; and developing synthetic diamonds for industrial use. If you like chasing demanding targets, thrive on making decisions in the pursuit of excellence, and enjoy the support of the world’s finest experts, we have a place for you. 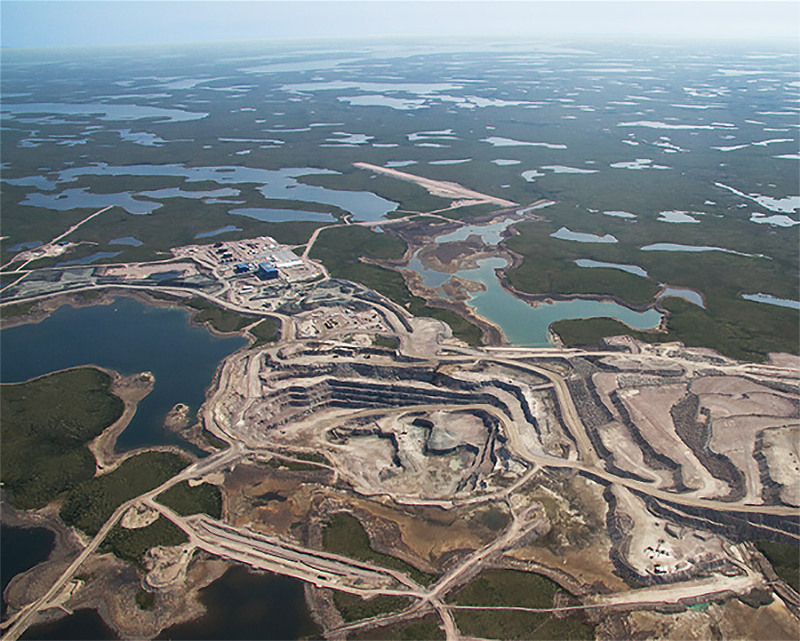 De Beers Canada, owner of Victor and Snap Lake mines and operator/joint venture partner of the Gahcho Kué Mine, is looking for team players who put safety first and value mining with respect for the environment and communities close by. De Beers is committed to a diverse and inclusive workplace where every member of the team works collaboratively and respects each person’s unique perspective and contribution. Gahcho Kué Mine is a fly-in/fly-out operation located about 280 km northeast of Yellowknife, NWT. The mine achieved commercial production in March 2017 and has a mine life of 12 years. 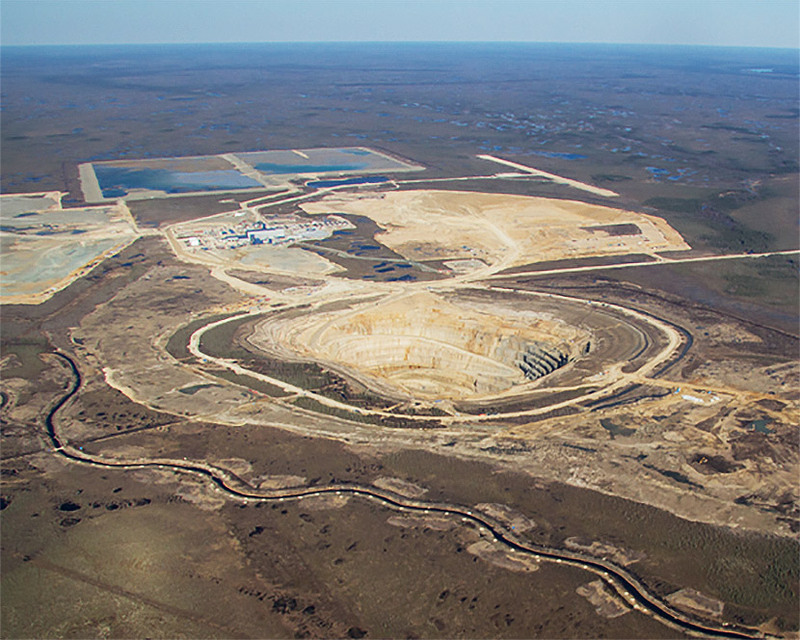 Located at Kennady Lake, approximately 280 km northeast of Yellowknife in the Northwest Territories, the Gahcho Kué Mine is a joint venture between De Beers Canada Inc. (51%) and Mountain Province Diamonds Inc. (49%). De Beers, as the operator, is committed to operating the mine to high safety standards and with deep respect for the land. Built at a total capital cost of C$1 billion, the mine began the ramp up of production in early August 2016 and was officially opened on September 20, 2016. The mine commenced commercial production in March 2017. Gahcho Kué is an open pit operation, mining three kimberlite pipes in sequence: 5034, Hearne and Tuzo. About 530 De Beers and contractor workers are required to operate the mine during the approximately 12 year life of mine. Deninu Kué First Nation (December 2014). Victor Mine is a fly-in/fly-out operation located in the James Bay lowlands of Northern Ontario. It began operation in 2008 and is scheduled to conclude its planned mine life in early 2019. Victor Mine is located in the James Bay Lowlands of northern Ontario, approximately 90 km west of the coastal community of Attawapiskat First Nation. It is Ontario’s first diamond mine and the second in Canada for De Beers. Victor is an open-pit mine and is one of 18 kimberlite pipes discovered on the property, 16 of which are diamondiferous. Approximately $1 billion was spent on construction of the mine, with approximately C$167 million spent with Aboriginal businesses or joint venture partners. It is also estimated that De Beers will contribute C$6.7 billion cumulative GDP impact for all of Ontario during the life of the Victor Mine. The Victor Mine reached commercial production in 2008 (six months ahead of schedule) and the Official Mine Opening took place in July 2008. The mine is scheduled to complete mining and processing activities in early 2019, then move into the formal closure phase. In October 2009, the Victor Mine was voted “Mine of the Year” by the readers of the international trade publication Mining Magazine. Environmental Officer, ON, Canada Hot! Plant Maintenance Supervisor, NT, Canada Hot! Mine Engineering Planner, NT, Canada Hot! Heavy Equipment Technician, NT, Canada Hot! Senior Mobile Maintenance Planner, Northwest Territories, Canada Hot!